Protective projector case custom designed for the Casio XJ-A130 projector. Includes ball jointed adapter for 50mm ceiling mount pole. Stylish contoured close fitting projector case. 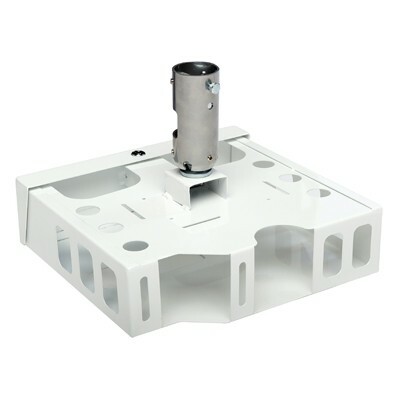 Includes ball jointed adapter suitable for a standard 50mm ceiling mount pole. Hinged front door allows easy access to fit projector. Projector case designed to facilitate simple filter changing and access to cabling whilst remaining secure. 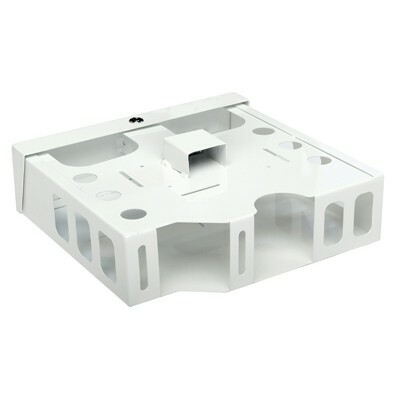 Compatible with Loxit’s easy install projector ceiling mounts and Loxit’s projector security cable kits. Projector case is constructed from welded steel. Loxit’s projector case provides security and potection for the Casio XJ-A130 projector. Designed to fit to Loxit’s easy install projector ceiling mounts, and heavy duty projector security cable kits. 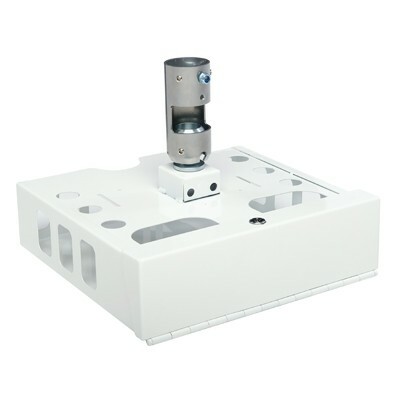 Includes ball jointed adapter which fits to a standard 50mm ceiling mount pole.